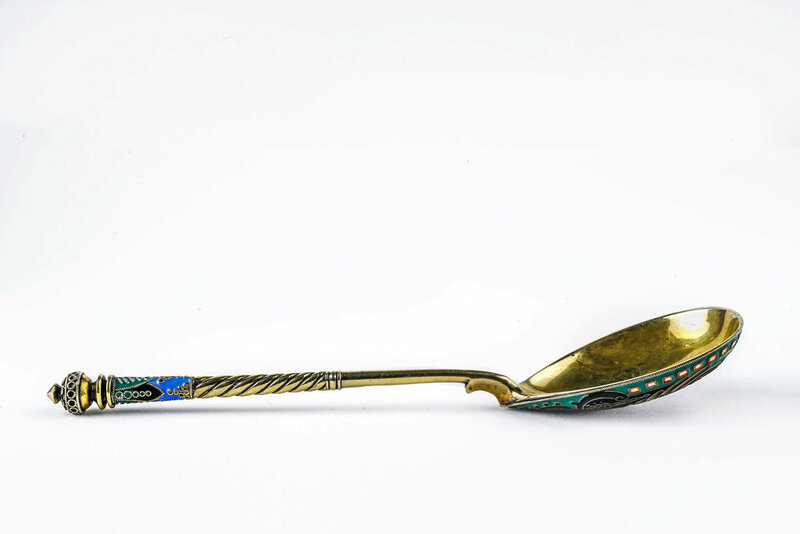 Antique Russian Faberge silver cloisonne enamel large spoon with eagle on the bowl. 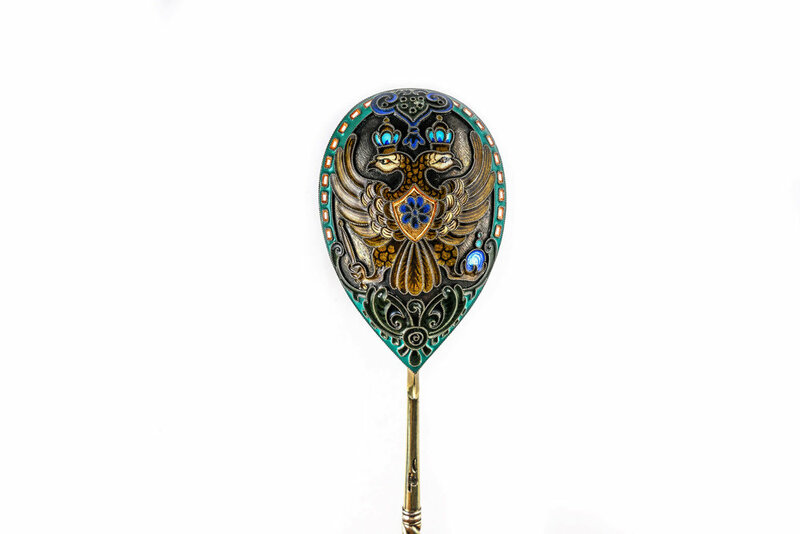 A beautiful antique Russian Faberge silver cloisonne enamel large spoon with eagle on the bowl. 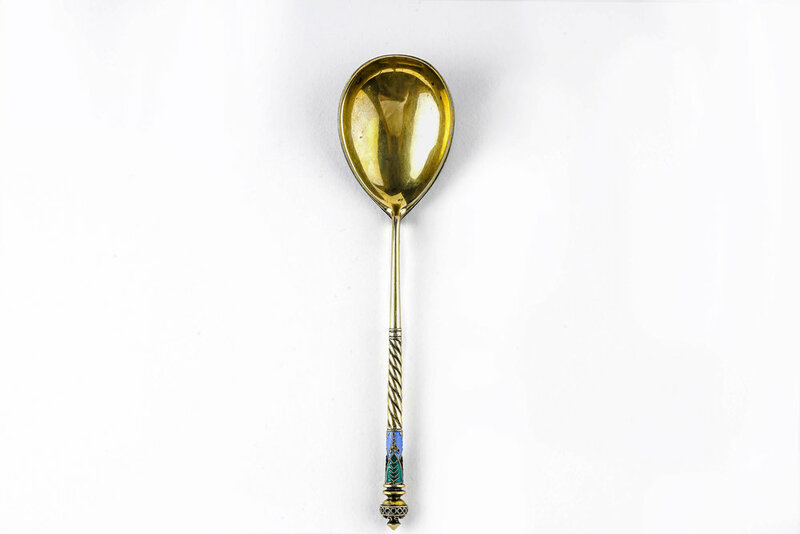 Length is 6.5 inches. Weight is 50 grams.